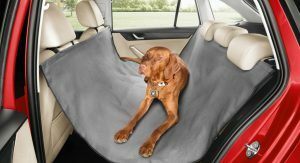 With the holiday season in full swing, dog owners everywhere are either already on their way or just getting ready for that long summer road trip. The dog comes too, obviously. 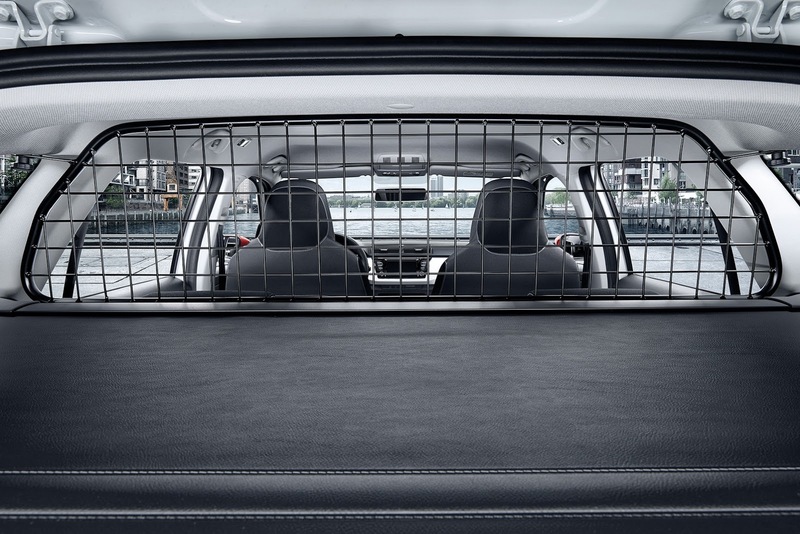 Skoda is now offering a couple of very practical accessories for dog owners that feel they just have to take their K9 companions on holiday with them. 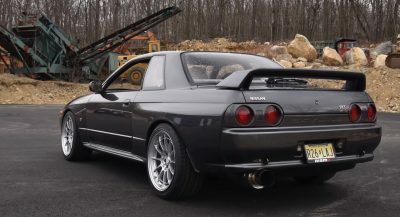 The most useful, from what we can tell, is the seatbelt. 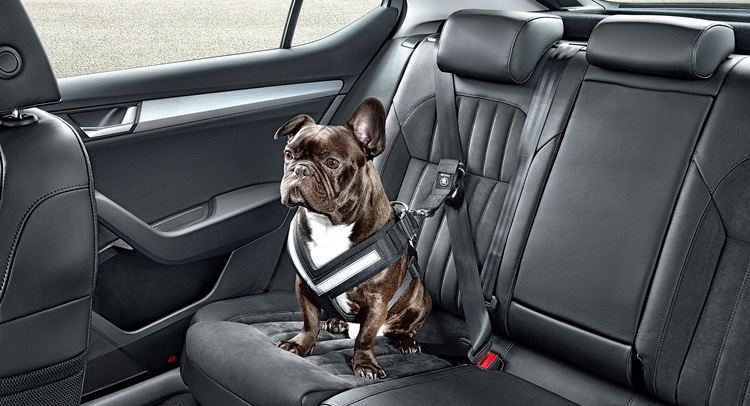 People don’t really strap their dogs in when they go for a drive and since you never know when an accident can occur (doesn’t have to be your fault), it’s best to secure your dog and make sure that it won’t go flying around the cabin on impact. 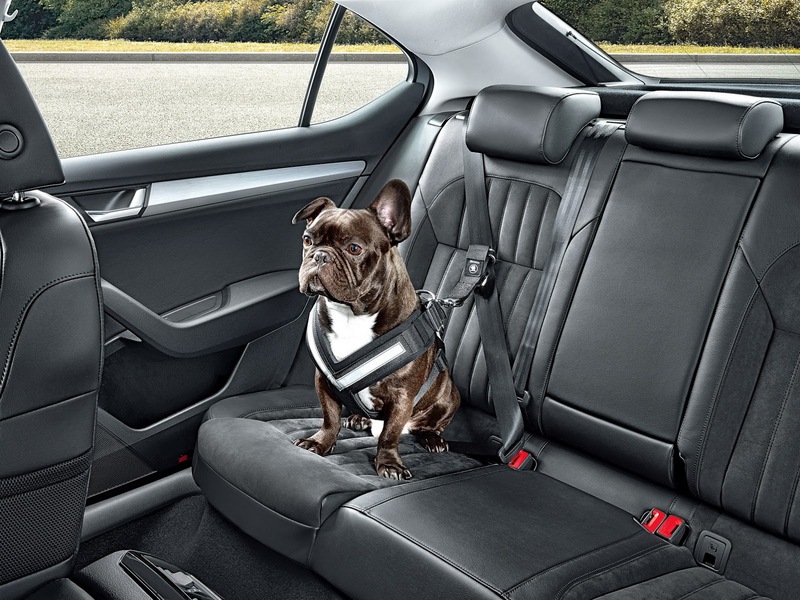 Another accessory that we like is the backseat protection which ensures that your upholstery stays clean. 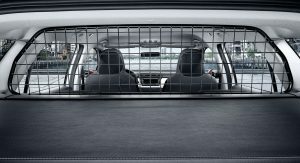 The ‘protector’ is large enough to cover any type of backseat, from models such as the Citigo to flagship saloons such as the Superb. This way, you don’t have to worry about hair, dirt, mud or anything of that nature getting on the seats or on the floor. 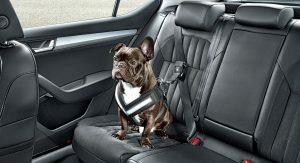 The cover is water-resistant and very easy to wash, while the non-slip surface also helps keep the dog as still as possible, if say you need to apply the brakes hard. 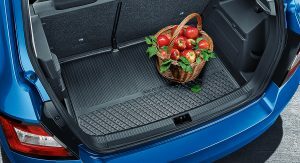 Skoda also came up with the trunk grille for the luggage compartment (available on the Fabia Estate & Superb Estate), which basically divides the boot into two sections. 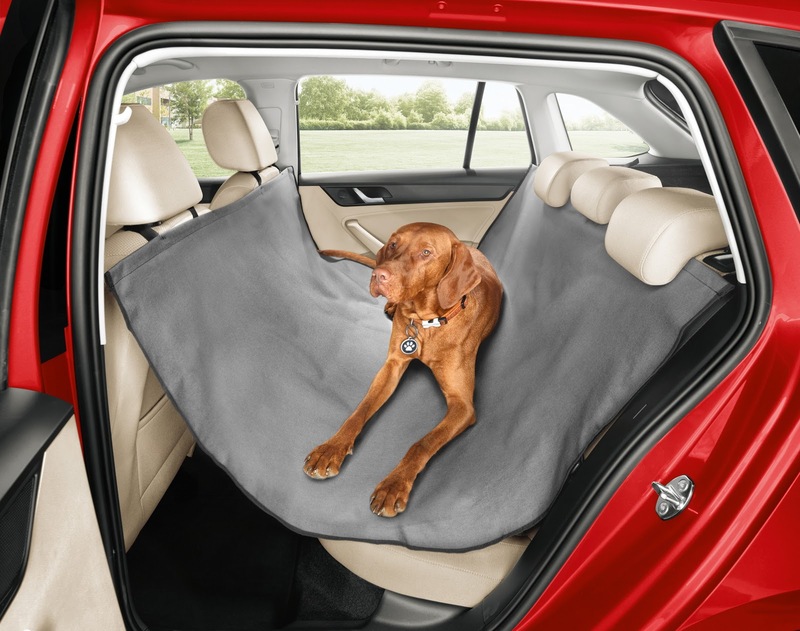 This is a good idea since you can have your dog in one of the areas and your luggage or groceries in the other. 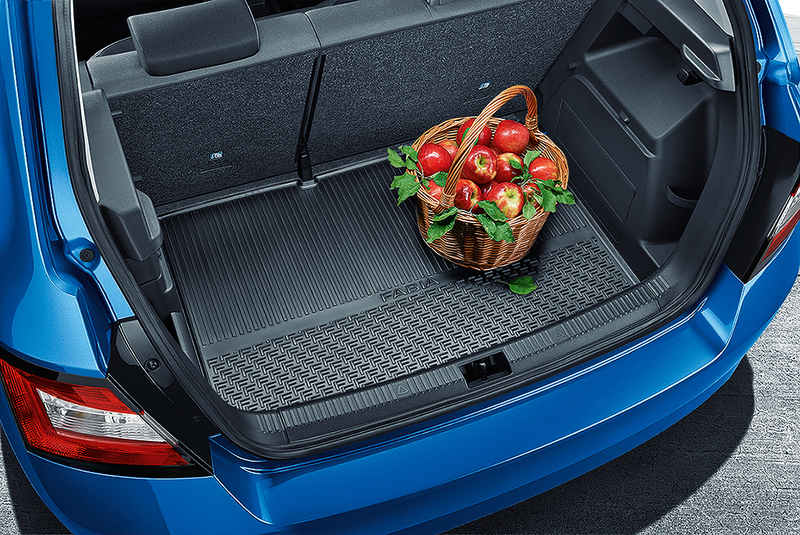 As for the boot, all Skoda models are now available with tailor-fitted protective mats and inserts, while the Rapid, Rapid Spaceback, Yeti, Octavia and Octavia Estate come with an optional double-sided floor covering. My dog would just eat it. People are stupid crazy when it comes to animals. 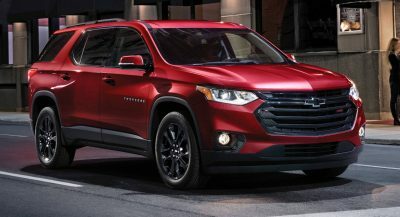 I guess it’s okay if you can turn it into a profit.